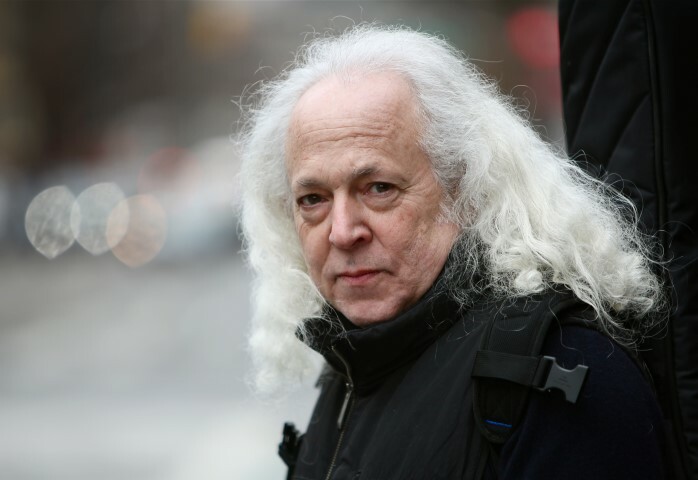 David Torn – ever-exploratory guitarist, producer, improviser, film composer and soundscape artist – returns with only sky, a solo recording of almost orchestral atmosphere. It is Torn’s first ECM release since 2007’s acclaimed prezens, a full-band project (with Tim Berne, Craig Taborn & Tom Rainey) that Jazzwise described as “a vibrating collage full of shimmering sonic shapes, a dark, urban electronic soundscape – a potent mix of jazz, free-form rock and technology that is both demanding and rewarding.” Many of those same descriptors apply to only sky, with its hovering ambient shadows and vaulting flashes of light, its channeling of deep country/blues memories and Burroughsian dreams of North Africa. Recorded in the acoustically rich hall of the Experimental Media and Performing Arts Center in upstate New York – as well as in Torn’s more intimate studio lair – only sky is an album to get lost in, over and again. Across his career, Torn has worked with jazz improvisers (Jan Garbarek, the Bad Plus), film composers (Ryuichi Sakamoto, Carter Burwell) and art-pop singers (David Bowie, David Sylvian). For prezens, Torn interacted with Berne (saxophone), Taborn (keyboards) and Rainey (drums) for hours of high-impact collective improvisation. Yet prezens was no documentary record, with Torn characteristically having “magicked” the tapes – remixing, reshaping and recomposing the music after its performance to create discrete collages of power and beauty, from unsettled ambience to unsettling violence. The mood swings of only sky are also intense, though they are introspective rather than extrovert. Torn weaves spontaneous melody from his ruminations, with earthy guitar tones emanating from the looping mist, echoing in the mind like a kind of aural dream. The character of the music was partly inspired by the space where much of it was created, explains Torn: “EMPAC in Troy is physically impressive and sonically inspiring – it’s an amazing, really high-ceilinged space, with acoustics that are pillowy but pithy at the same time. It gave us a dream guitar sound, and we incorporated a lot of room tone. I was alone there with just my engineer, Daniel Goodwin, and we recorded hours and hours of music that I then edited down – but with the aim of respecting the original free-flow. The opening track of only sky, “at least there was nothing,” finds Torn incorporating the electric oud into his toolkit; the piece suggests an abstract evocation of Tangier, or rather the hallucinatory Interzone of Naked Lunch. For “spoke with folks,” he reflects upon the old New World, his current fascination with country guitar pickers made manifest in an original tune that sounds like an American folk song viewed through a sonic kaleidoscope – like a digital refraction of “Shenandoah.” And one can hear a kind of blues in the metallic riff of album highlight “reaching barely, sparely fraught,” which features some of Torn’s most beautifully earthy guitar lines. In its glowing review of prezens, Torn’s 2007 ECM album, All About Jazz called it “the record that Torn fans have been waiting for, the most fully realized of his career… boldly adventurous.” Twenty years before the release of prezens came his vintage ECM album Cloud About Mercury, which saw Torn interacting with trumpeter Mark Isham and the latter-day King Crimson rhythm section of Tony Levin and Bill Bruford. Torn’s initial tenure with the label also included Best Laid Plans, his 1984 release with drummer Geoffrey Gordon; and the guitarist featured on Jan Garbarek’s album It’s OK to Listen to the Gray Voice. More recently, Torn produced and mixed Tim Berne’s ECM albums Shadow Man (2013) and You’ve Been Watching Me (April 2015). Torn’s film scores include those for Friday Night Lights, Lars and the Real Girl, Everything Must Go and The Order. He has also contributed tones and textures to scores by Sakamoto, Burwell and Howard Shore, and his sounds can be heard in the Academy Award-winners Traffic and The Departed.